Examples of NEW PARADIGM Splitting and Pairing Accelerated MASSLESS (Micro) Black Holes. : TRUNCATED TETRAHEDRON SPACE of the OSCILLATING HIGGS LATTICE. TRUNCATED TETRAHEDRON SPACE of the OSCILLATING HIGGS LATTICE. 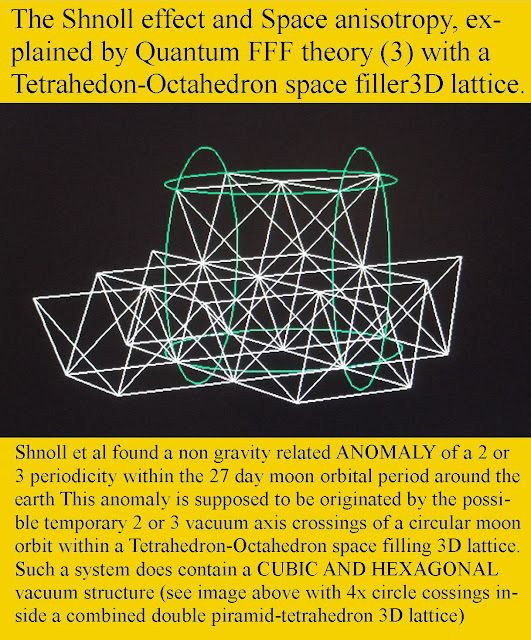 TRUNCATED TETRAHEDRON LATTICE SPACE STRUCTURE or HOW THE OSCILLATING HIGGS LATTICE IS ABLE TO MIMIC RELATIVITY RULES. Truncated tetrahedron space (lattice) around a black hole. My latest space filler variant called Tetra-Octahedron space filler, based on the 2-3 periodicy found by Shnoll in his histograms over moon periodicity of 27 days. 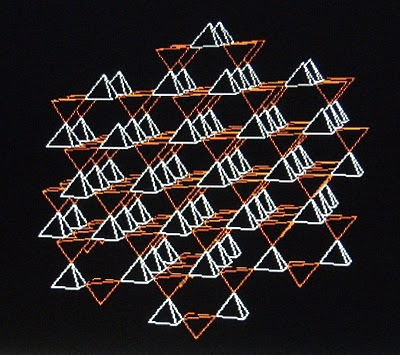 also called Octahedron-Tetrahedron space filler. 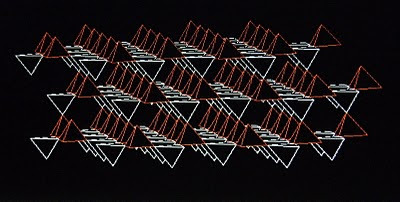 Quantum Function Follows Form (Q-FFF) theory states, that the vacuum is seeded with fast oscillating massless dual Higgs particles, oscillating along a complex chiral truncated tetrahedral vacuum lattice, which has the ability to transfer Photon and Graviton information in bunches of oscillations, through the vacuum lattice with the local speed of light. As a consequence there are no attraction forces on Fermions, which are supposed to have a real propeller shape and real double axis spin. 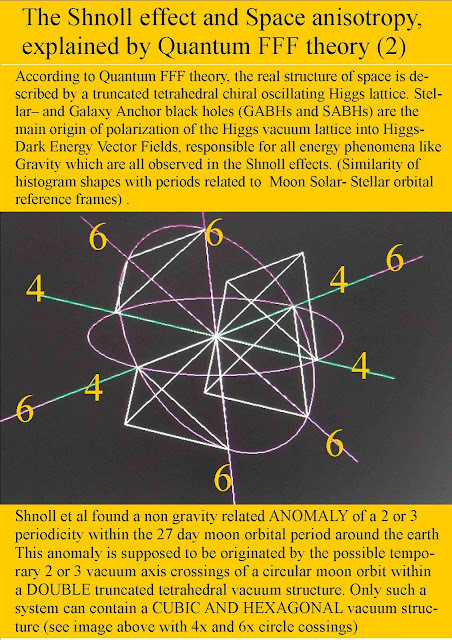 Higgs oscillations are the origin of all energy processes in the universe and the origin of so called Dark Energy. NON oscillating Higgs particles are supposed to be trapped inside black hole nuclei of variable sizes called “Quantum Knots”, and the origin for all Dark matter. 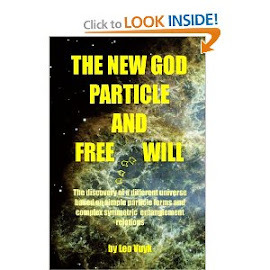 Only the sum of the different kinds of vacuum impulses in the form of Higgs vector arrays from all directions on Fermions are responsible for all energetic phenomena and gravity in the universe. However, the vacuum lattice has only 2x6= 12 (twelve) oscillation directions, which seem to be observed in the 27 day sidereal moon related period of similar histograms found by Simon E. Shnoll. 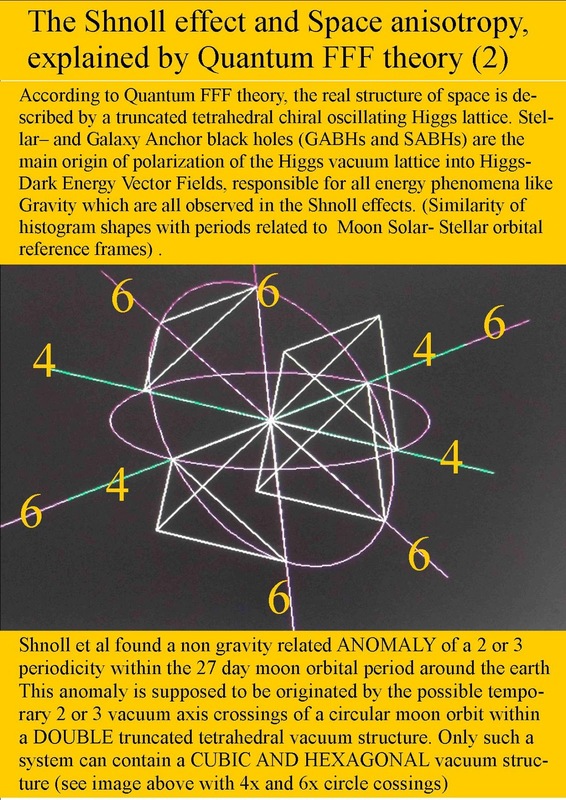 These periods of 27 days seem to show a split in 2 or 3 subgroups of similar histograms, which have a possible relation with the12 oscillation directions of the vacuum with cubic and hexagonal elements.. As a second consequence, all “eigen energy” (even nuclear decay) and spin of Fermions is the result of the Dark Energy Higgs vector Field (DEHF) collision process with Fermions As a third consequence Solar, Planetary and Moon masses influence the DEHF by less powerful Graviton vector array information transfer, which is assumed to be the origin of peculiar Shnoll effects like Solar and Sidereal day periods, sidereal Moon periods and year periods of similar histograms of nuclear decay measurements like Plutonium, 239 Pu. 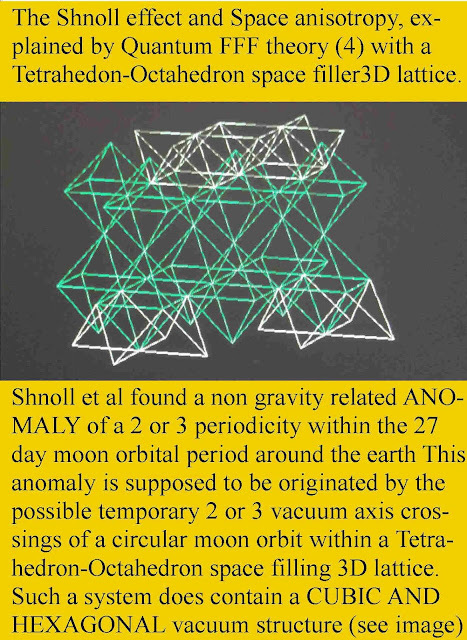 Michelson-Morley didn’t find the ether, BUT Simon Shnoll did!